Last Wednesday, February 25th, Harri joined industry leaders such as Michael Jacobs (Corner Table Restaurants), Shawn Kolodny (Innovative Advisory Group), Allan Anderson (LivingSocial) and Jed Kleckner (Delivery.com) for a discussion on how how technology is transforming the way the hospitality industry operates, from front-of-house, to back-of-house and beyond. 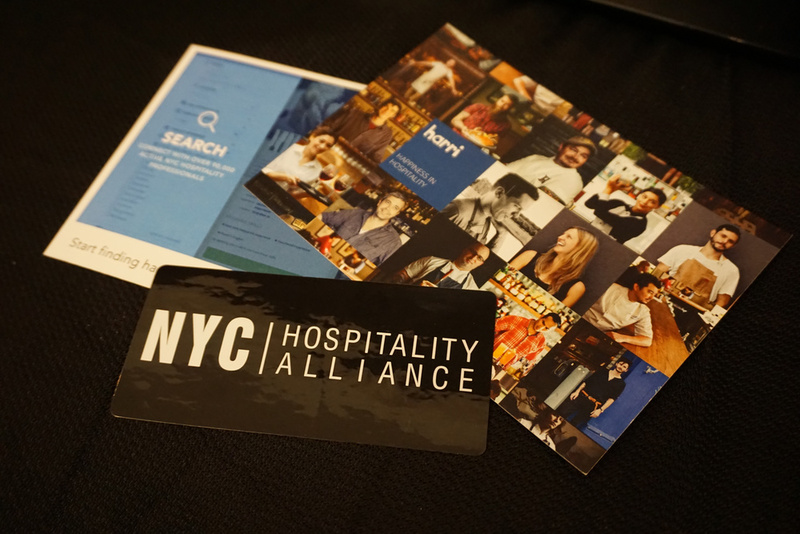 The first panel was titled "Hospitality & Silicon Alley". Below are the key points covered during the panel discussions and presentation. How will technology impact the restaurant industry? Since restaurants typically have a 45 minute window to work with patrons at a table, the industry as a whole fears that the introduction of technology will disrupt the connection between guest and servers, therefore, losing the foundation of why people are in the industry. The industry fears that perhaps the guest experience will be diminished since the "human touch" will be scaled back. Although there are and will be challenges incorporating new technology, restaurant owners and operations know they have to adapt to the times. Since the options currently available do not integrate with each other, there is tremendous room for improvement. Owners an operators have to constantly double check data to ensure it's correct because the systems do not speak to each other and there is no universal option available. Integration, contracts and costs cause a lot of conflict in terms of allowing restaurants to adapt to new technology because technology is constantly changing and improving. Restaurant owners feel that spending hours pulling data is not an effective use of time. Data should be accessed with the click of a button, however, the real issue is not obtaining the data. Being able to easily read the data and making it actionable is the best case scenario. Another issue is that most restaurant tech companies hire engineers outside the industry who don't fully understand how the restaurant business works. In order to create the best resource possible, they should bring tech and analytical minds with restaurant experience together to create great products. Owners & operators have to learn to embrace feedback, whether positive or negative, it's part of doing business. The thing to keep in mind is that you're learning about operational improvements instantaneously. Quick response time to an issue is key. If you don't respond within 10 minutes, patrons may go to Yelp or TripAdvisor and bash your brand. The days of 24 hour response time are gone. If possible, catching issues the moment they occur and providing the solution on the spot is the best case scenario. At the end of the day, we, as an industry, are service providers and we need to make sure we're resolving customer issues and ensuring guest satisfaction. Sometimes finding a location for your new concept is based on hunches instead of data. Technology allows owners to look at data such as demographics, yearly household income, etc. to help decide on the best location for their business. An example of where a company fails at providing actionable data: OpenTable. It they wanted to, OpenTable could provide restaurants with actionable data such as the hottest zip codes for new restaurants, since they have collected a substantial amount of restaurant data over the years. The entire industry is still posting on Craigslist and scraping through hundreds of resumes just to find one good candidate with great work experience. For example, it took two years to hire an assistant general manager at Per Se. Due to lack of quality local candidates, the company flew candidates in from all over the world. The job search began on Craigslist. Per Se is one of the top restaurants in the world and is still dealing with a problem all to familiar to the industry. It's just as important to find the right employee for your business and it's also important that you take care of your employees while they're working with you. The sector showing the most growth in the restaurant industry is Human Resources. It has become very competitive. Times are changing. The industry is moving from the filing cabinet to the cloud. The panel on stage believed that having a way to rate employers on how they treat their employees, would create a better work environment because of competition. Why is the hospitality industry so far behind when it comes to incorporating technology? Technology can't run the restaurant business, it's a people powered business, however, businesses need to realize that technology will only enhance the guest experience if it's used and implemented properly. Technology hasn't been implemented as much as the industry probably should have because of issues with integration, high cost, and imperfect solutions. Adaptation should increase as the restaurant and technology industries learn to work together more cohesively. What do you think of the panel discussion? How do you feel technology is impacting the restaurant industry?